Mash the thawed corn in a blender/mixer till it turns into a thick paste. Heat oil in a pan, once it is heated, splutter jeera (cumin) seeds, in it. Then add coriander, turmeric and paparika powder and stir for 2 minutes on high flame. Now add your chopped tomatoes. Stir it for another 4 minutes on high flame. Reduce the heat and bring it to medium, add mashed corn to the vessel. 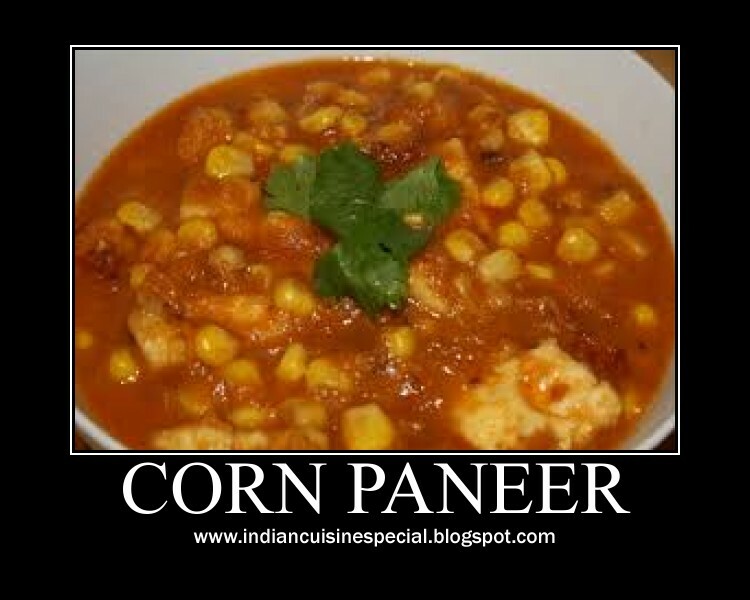 Stir for another 2 minutes and then add paneer to it. After stirring the whole thing for a minute or two. Leave it on medium heat for about 15 minutes. 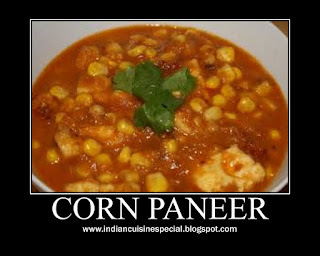 Taste Corn Paneer is ready.